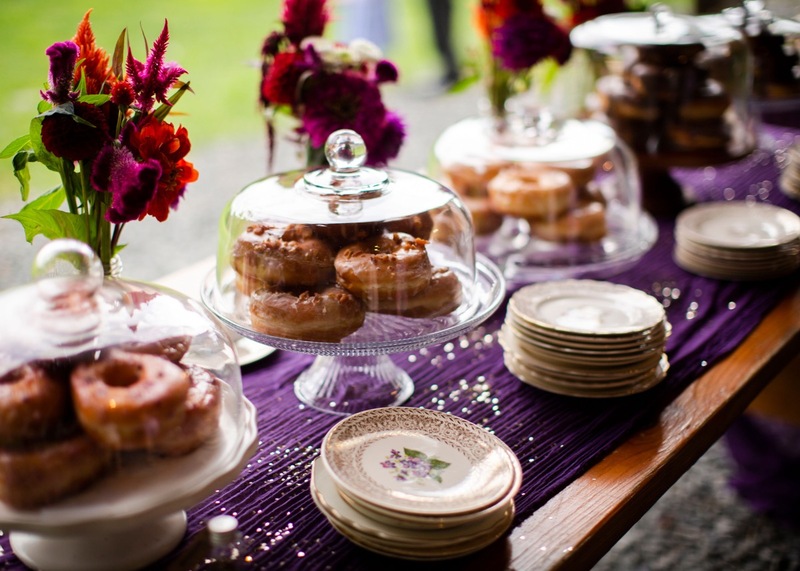 For wedding professionals, there’s nothing more delightful than receiving kind reviews from their clients. 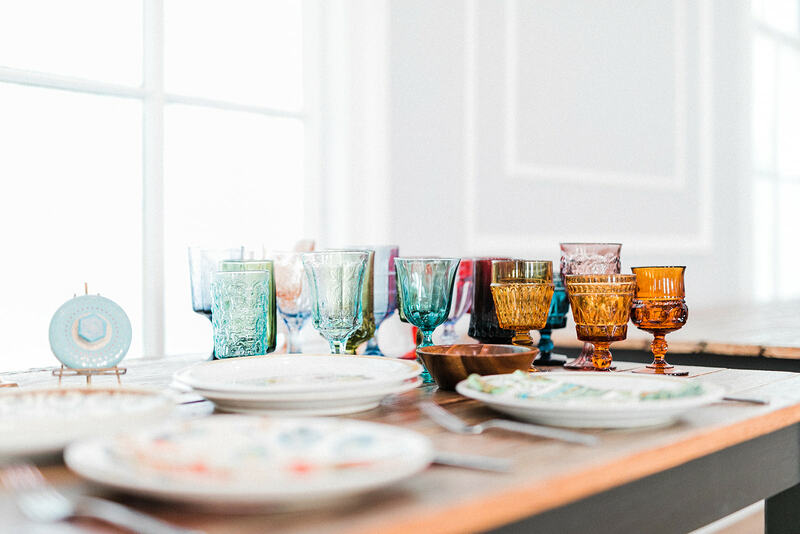 Because we are passionate about our vintage wares and what they represent, we truly love sharing them with others. 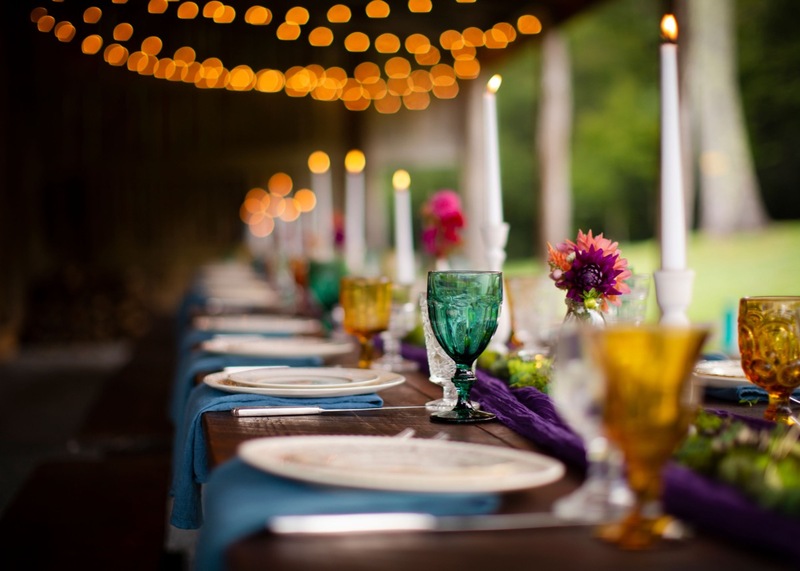 We strive to do our best to be accommodating, polite, and timely with all of our interactions and events. 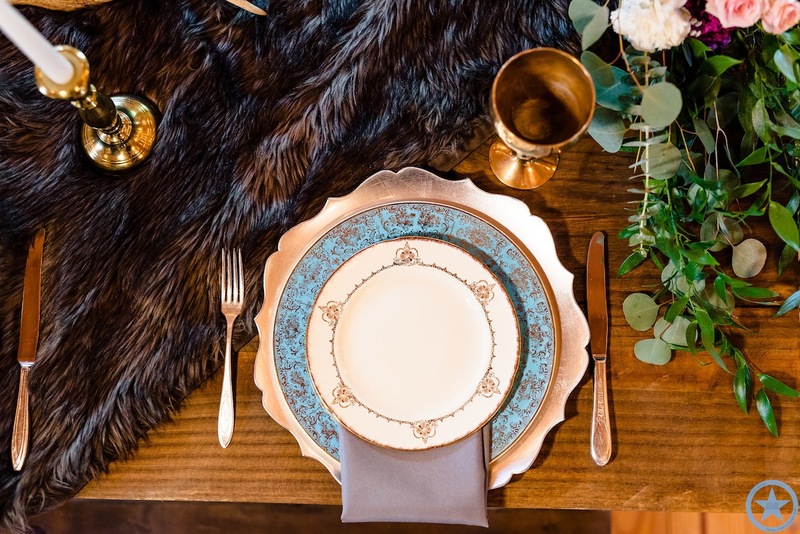 These three client reviews from Wedding Wire help us know that our collection and efforts are appreciated! 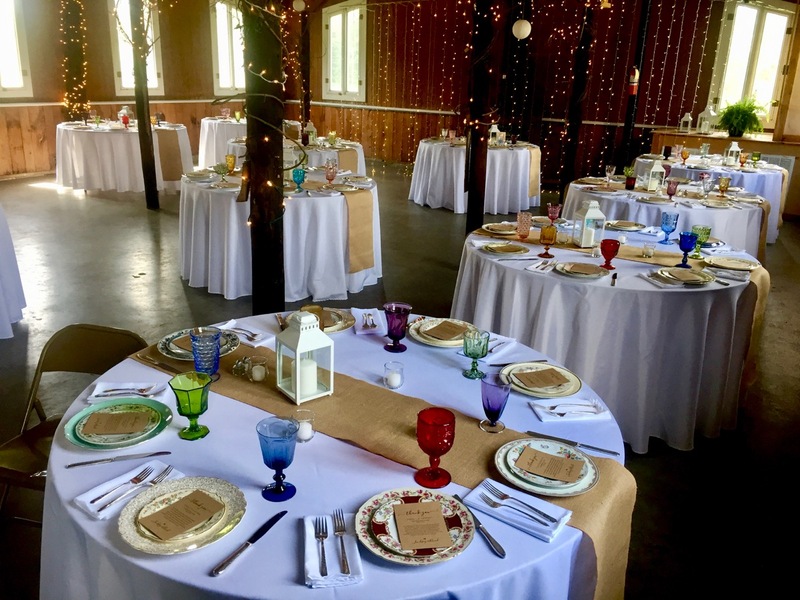 Thank you, Emma, Renée, and Mallory, for your lovely reviews and for trusting us to be a part of your wedding day! 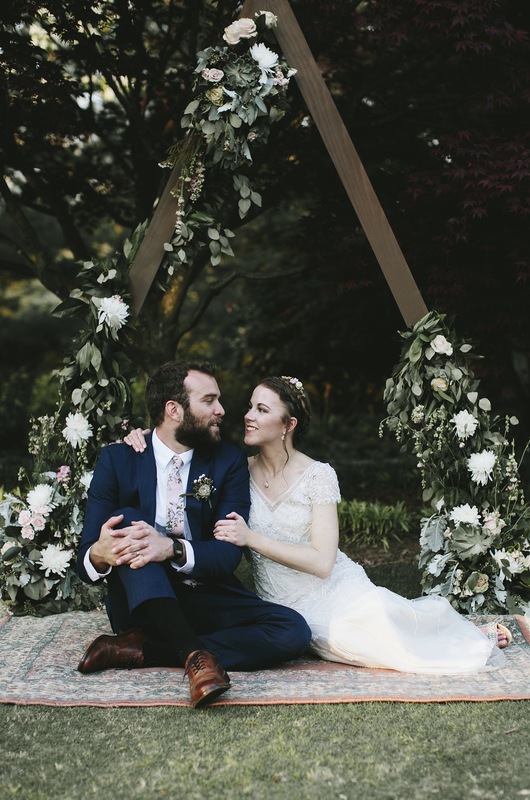 To read more client reviews, go to Wedding Wire and our newest collaborator, The Knot. 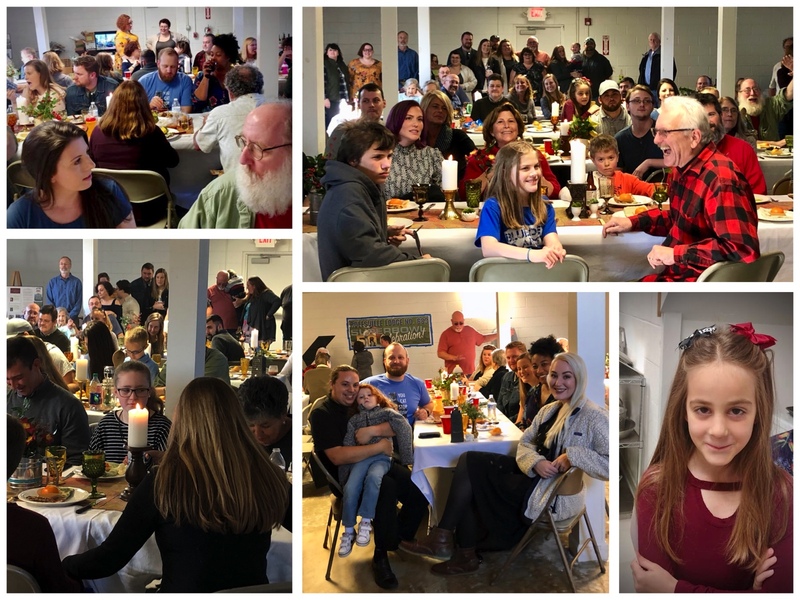 What a wonderful, busy week! 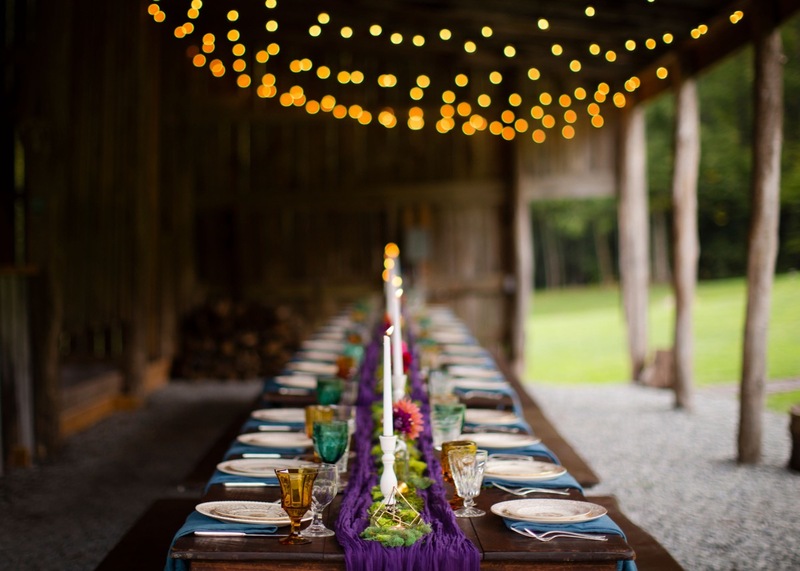 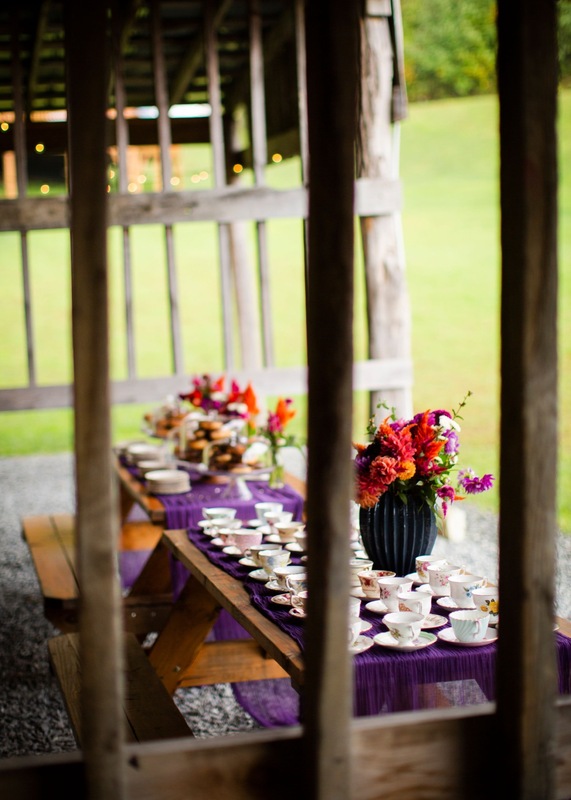 We’ve helped with three weddings – a rehearsal dinner at Stoneleigh Estate in Virginia, a reception at Windy Hill Farm in Cedar Grove, and a reception at Snipes Farm in Chapel Hill. 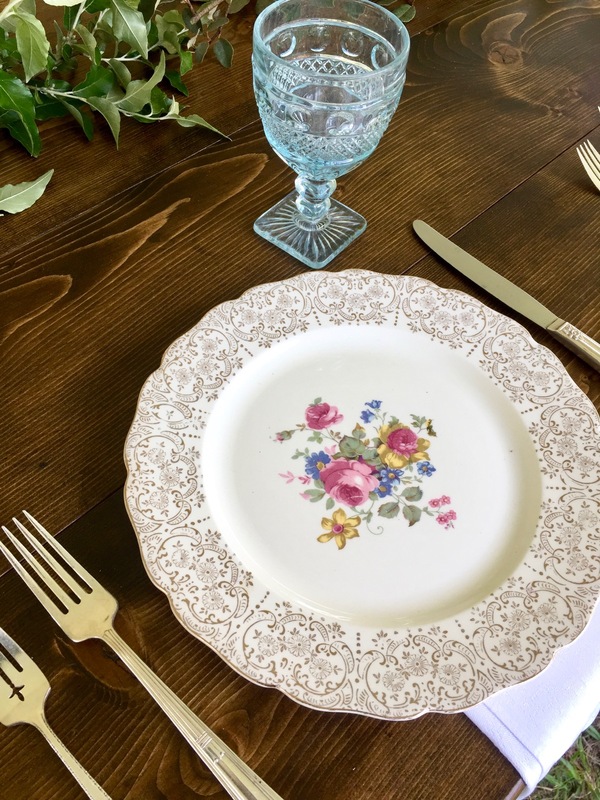 We look forward to sharing a few photos from each of these in the near future but today we want to share five different place settings created for Lindsey and Brad’s reception tables. 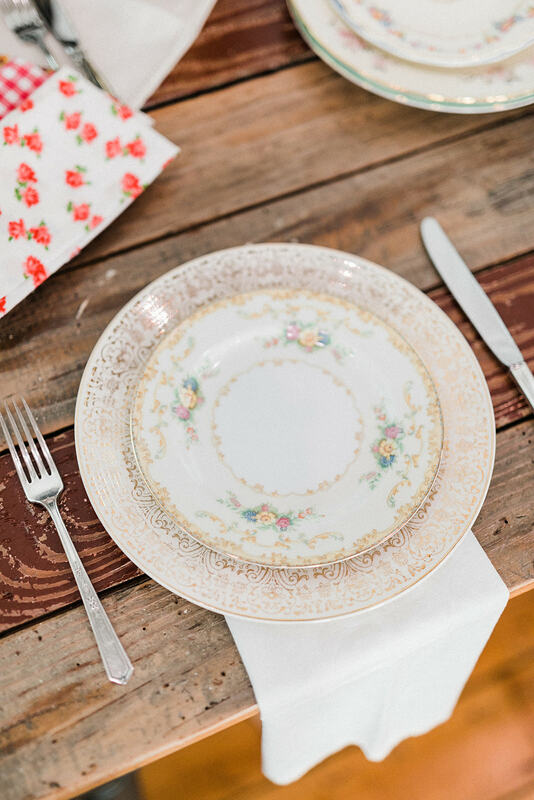 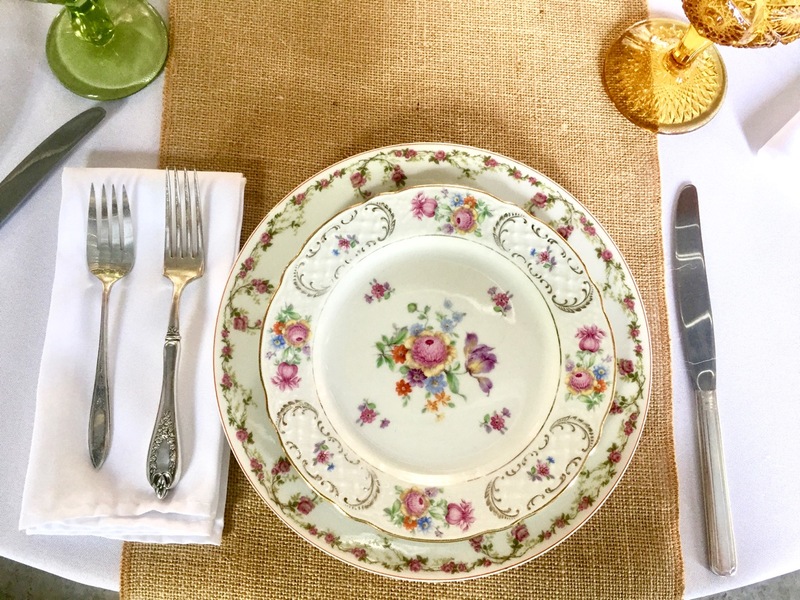 This couple wanted a vintage salad and dinner plate for each guest. 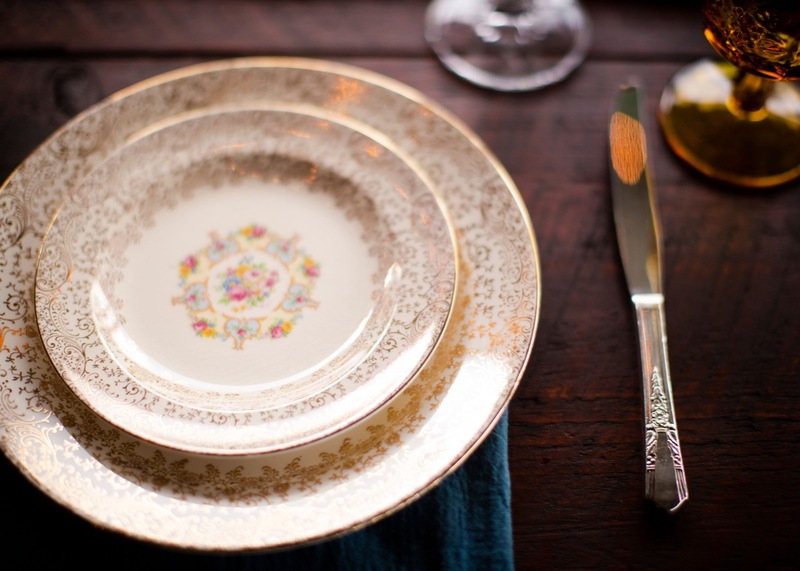 When preparing for an order that includes this pairing, we first select a mix of vintage dinner plates. 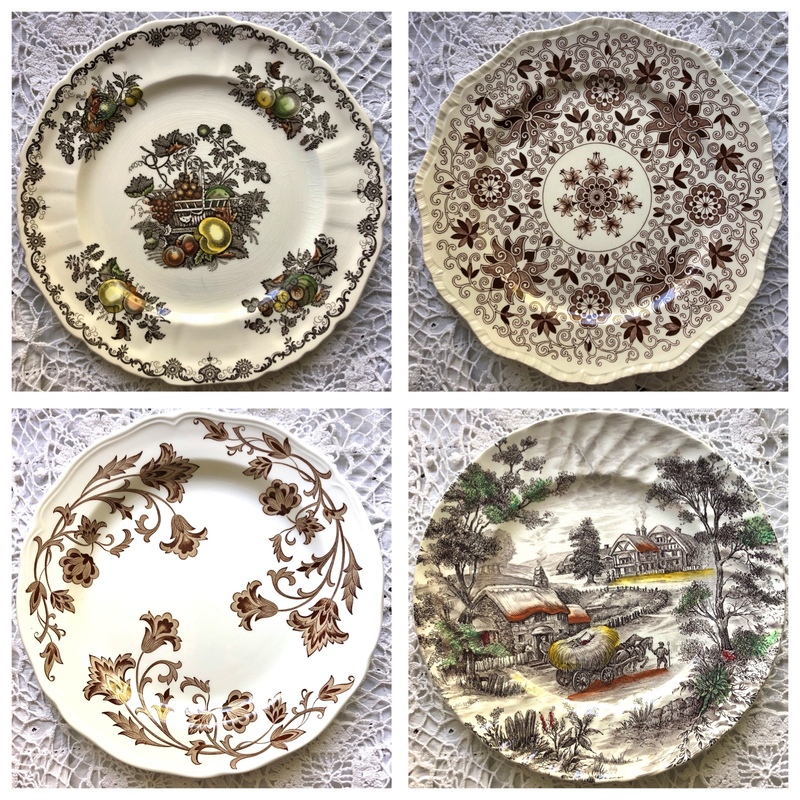 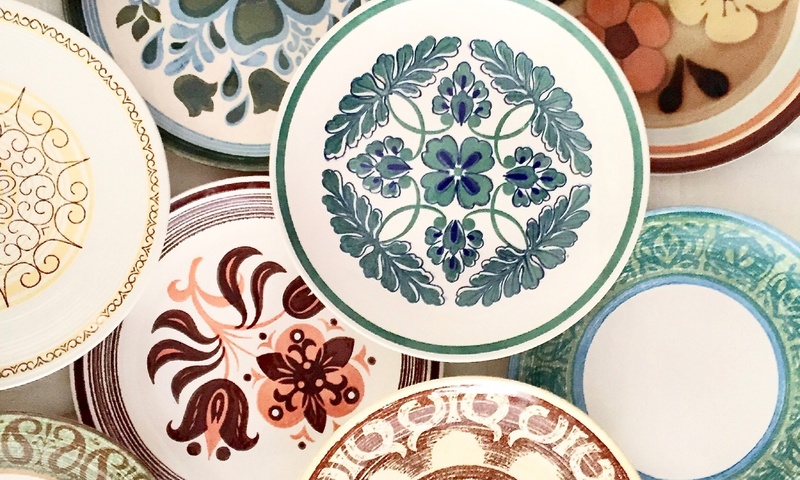 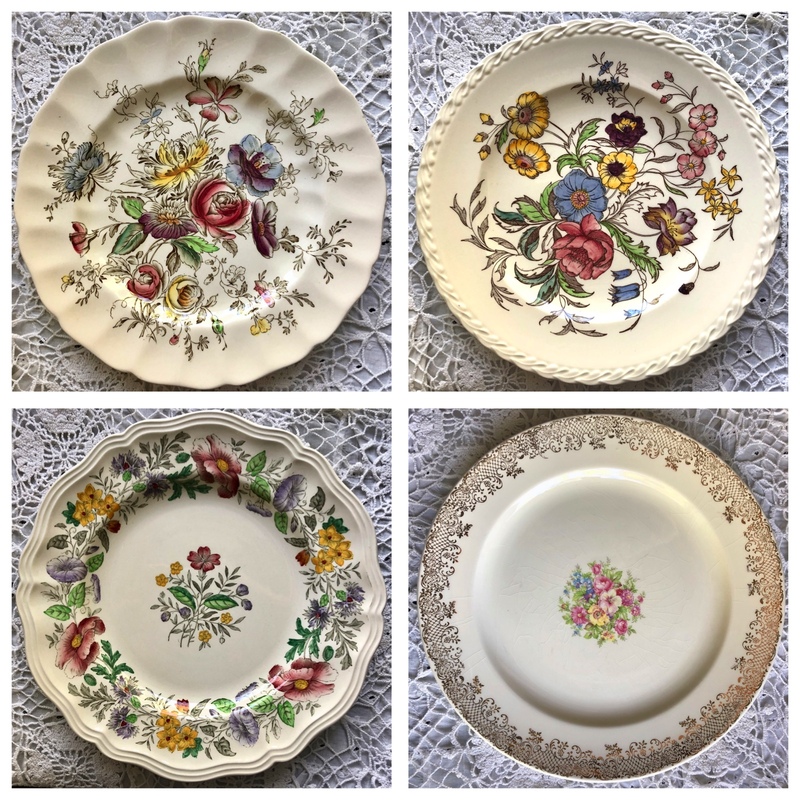 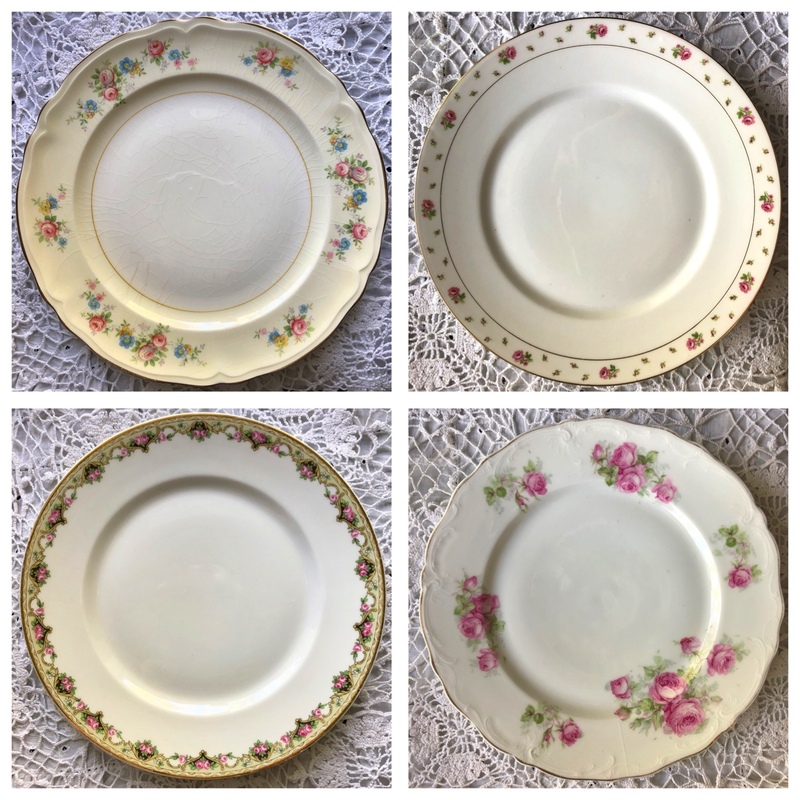 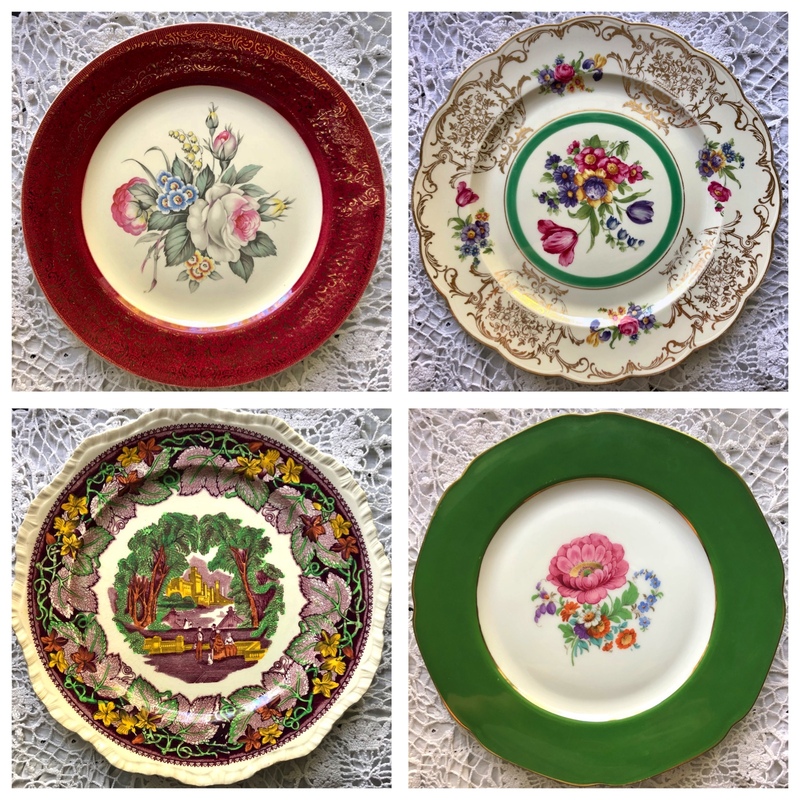 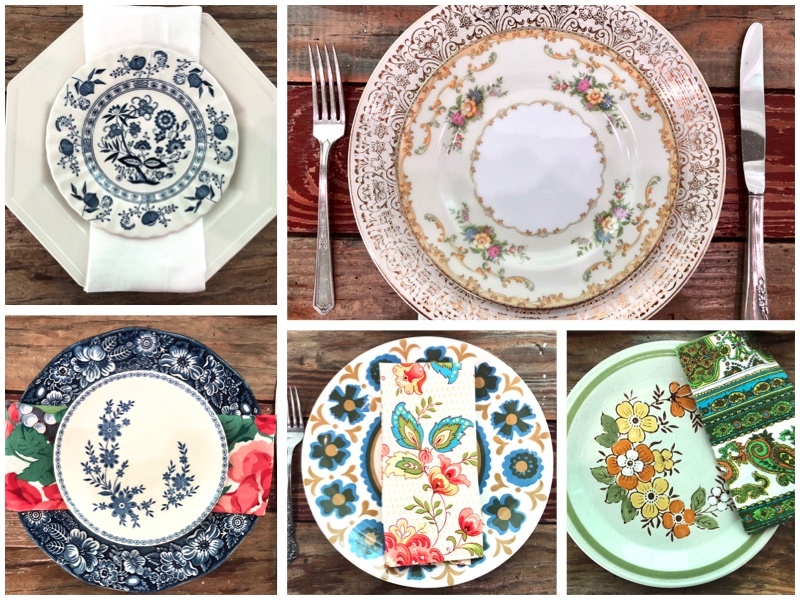 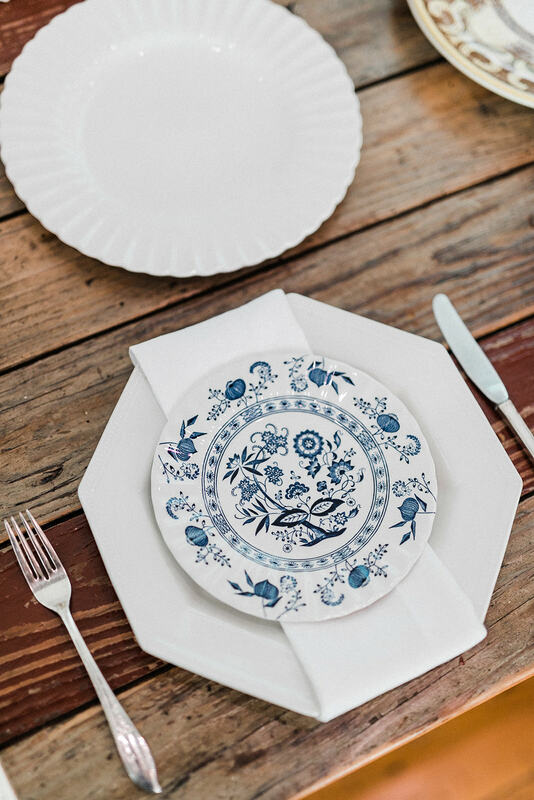 One by one, each dinner plate is matched with a salad plate with a complementary pattern. 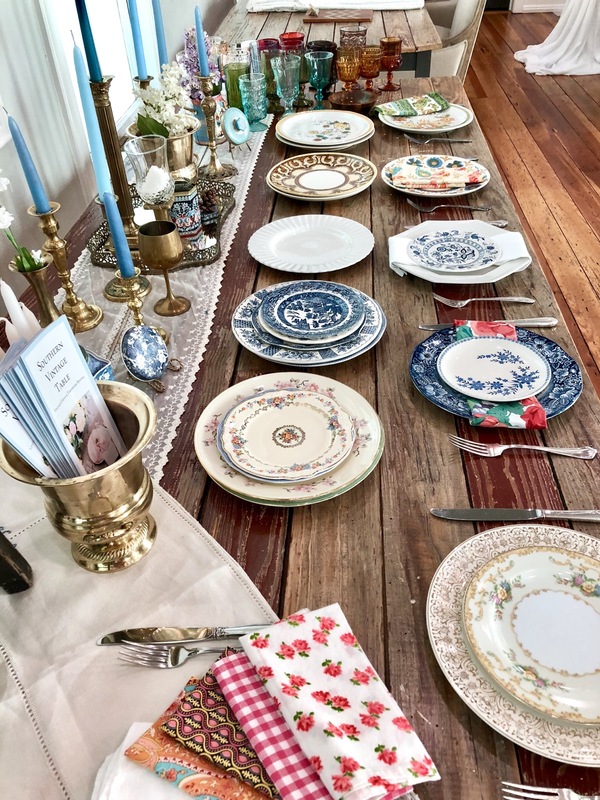 The results of this “labor of love” are mixed and matched, beautiful, unique place settings for each guest! 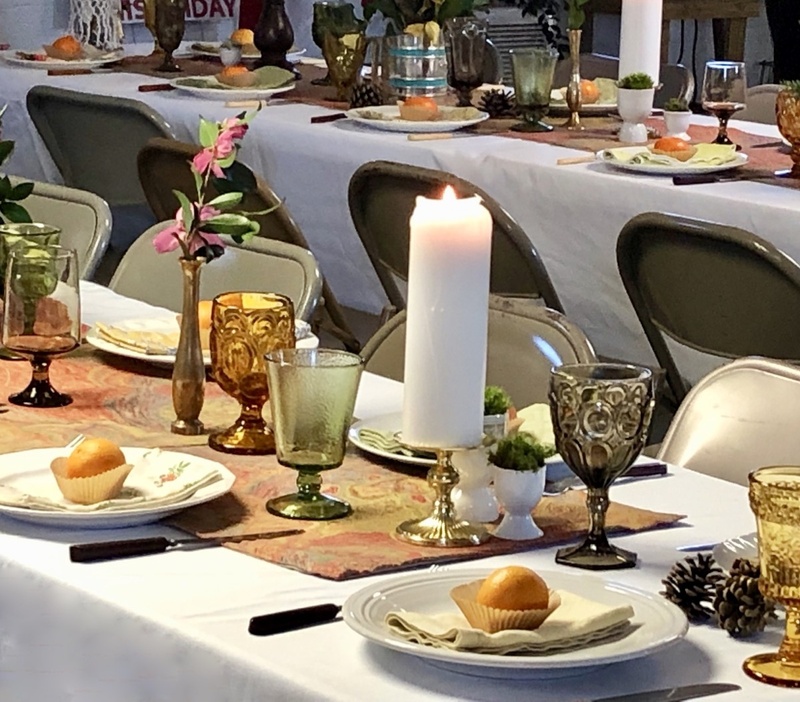 Here’s a final look at the tables with their place settings. 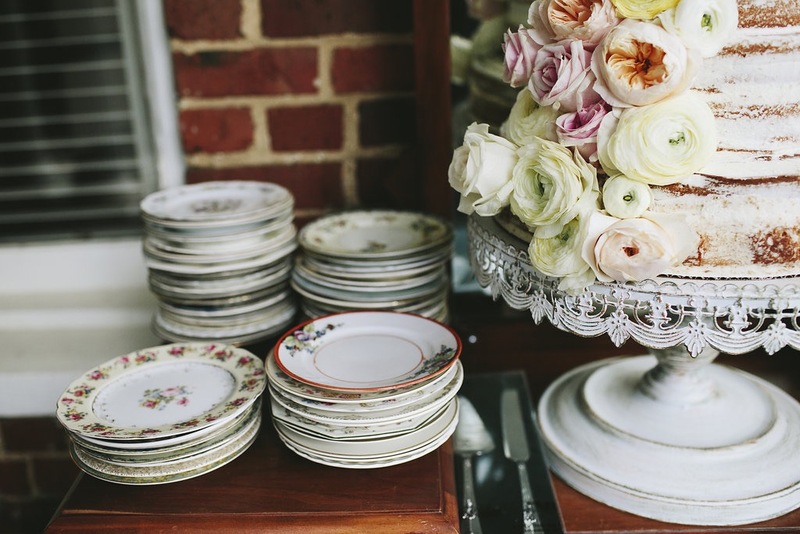 We can’t wait to see them with the floral arrangements and candle light! 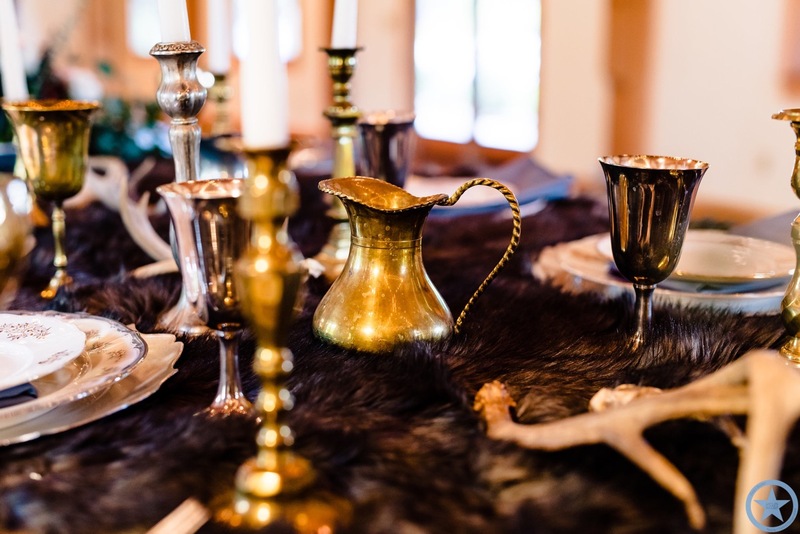 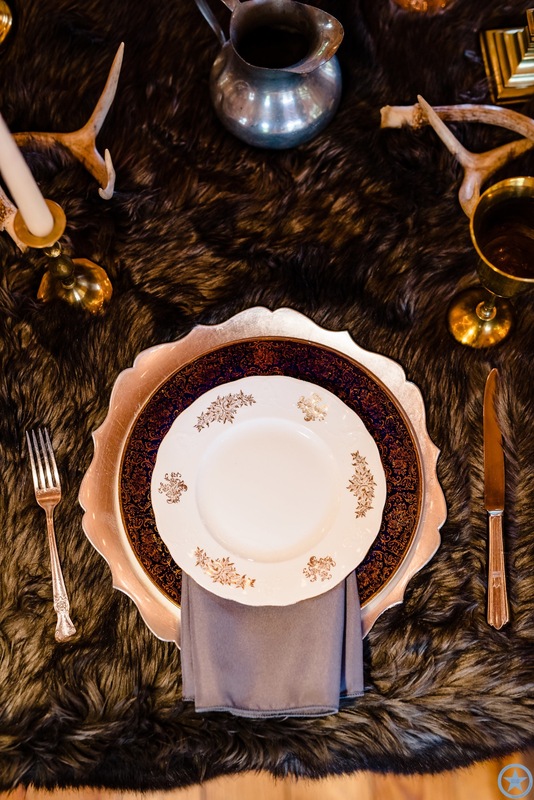 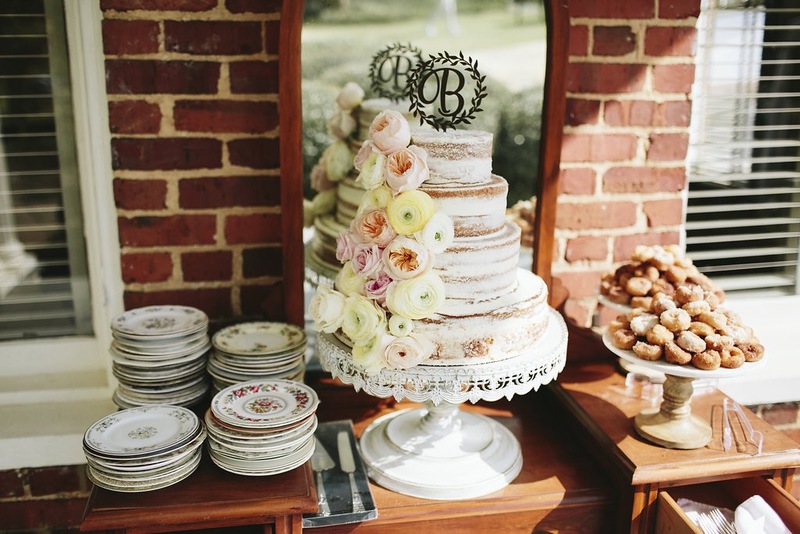 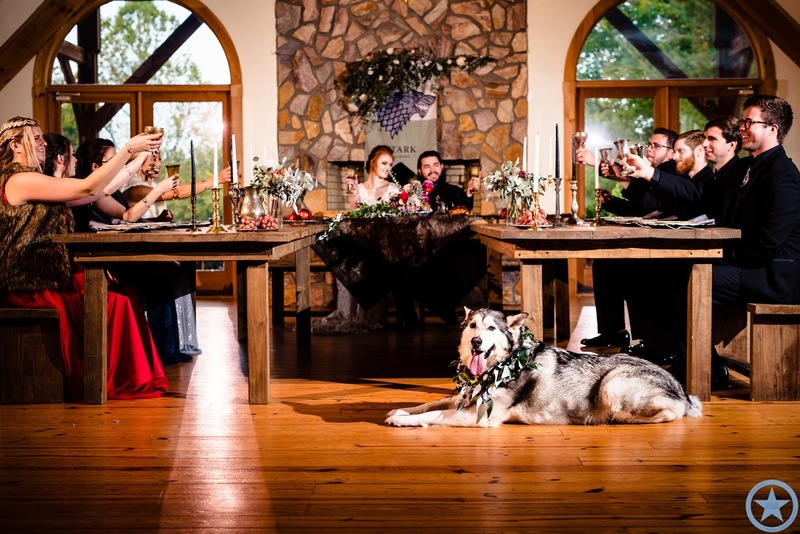 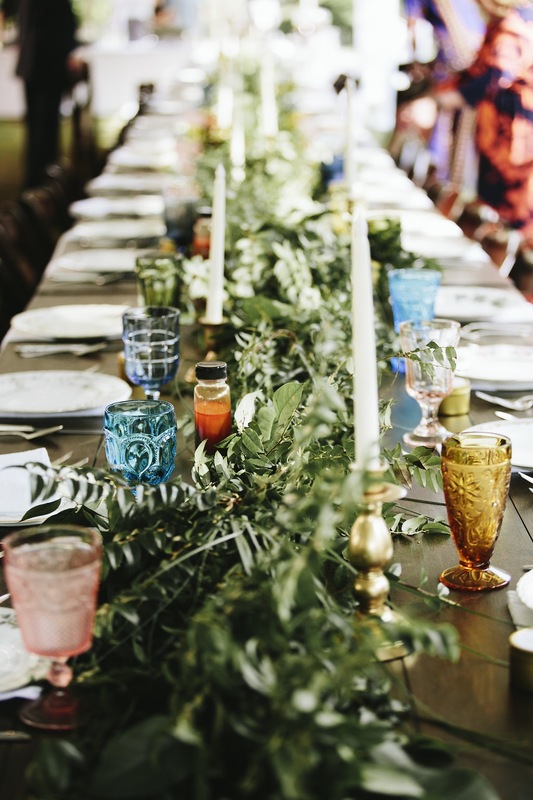 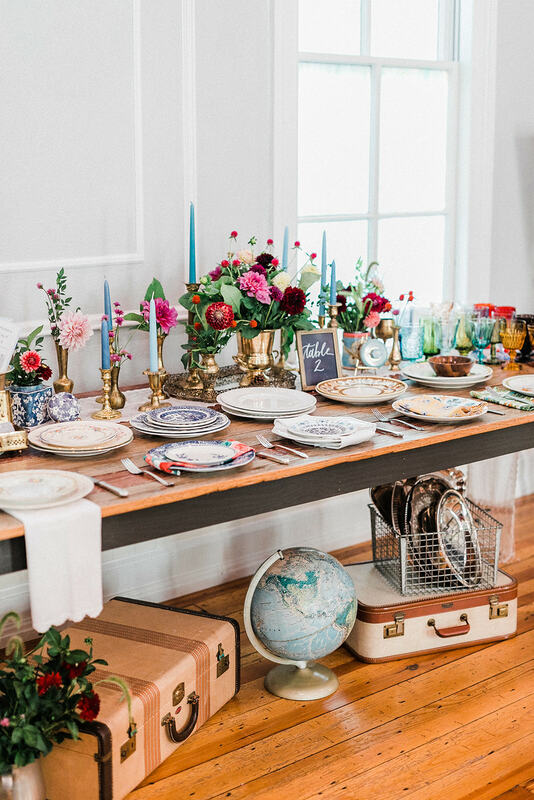 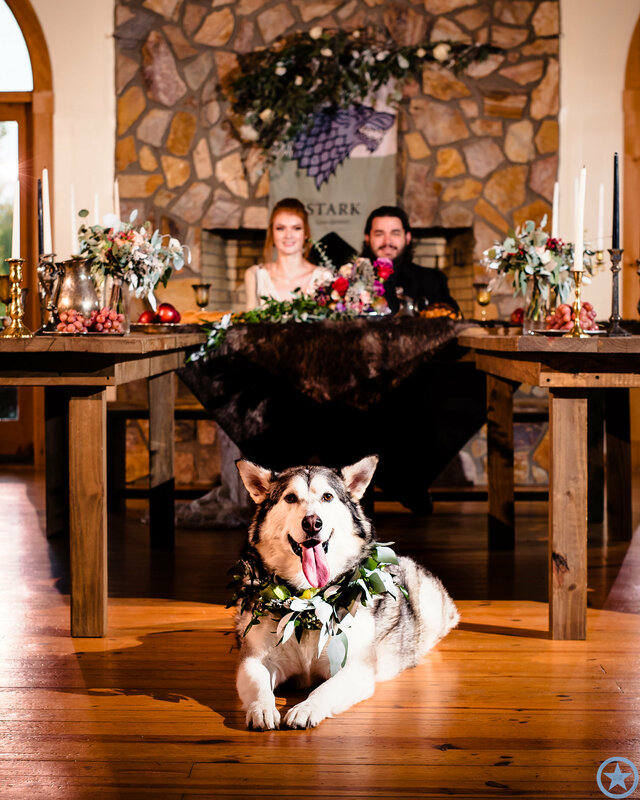 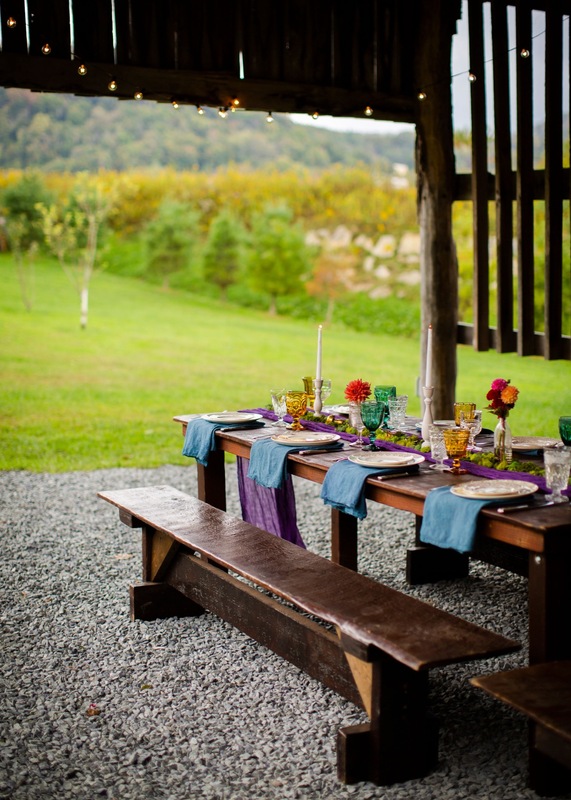 Southern Vintage Table Event – Game of Thrones Shoot is Featured on Offbeat Bride! 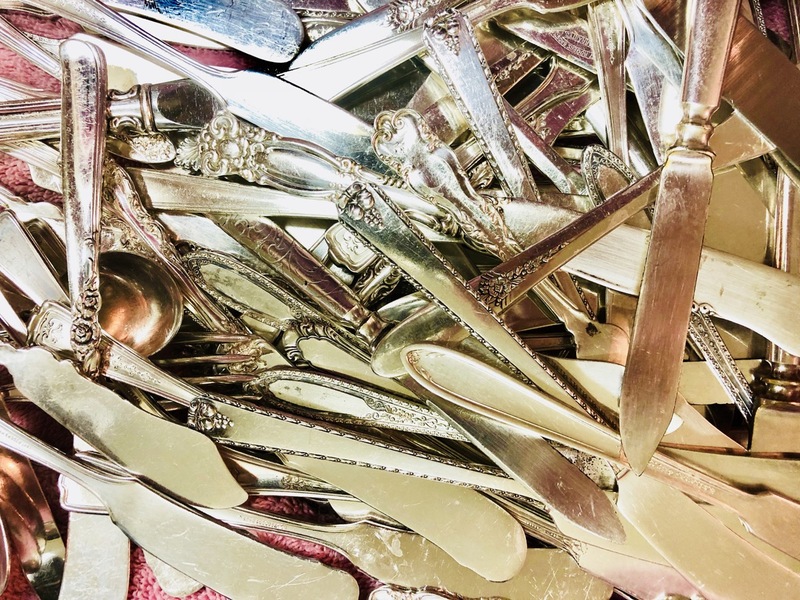 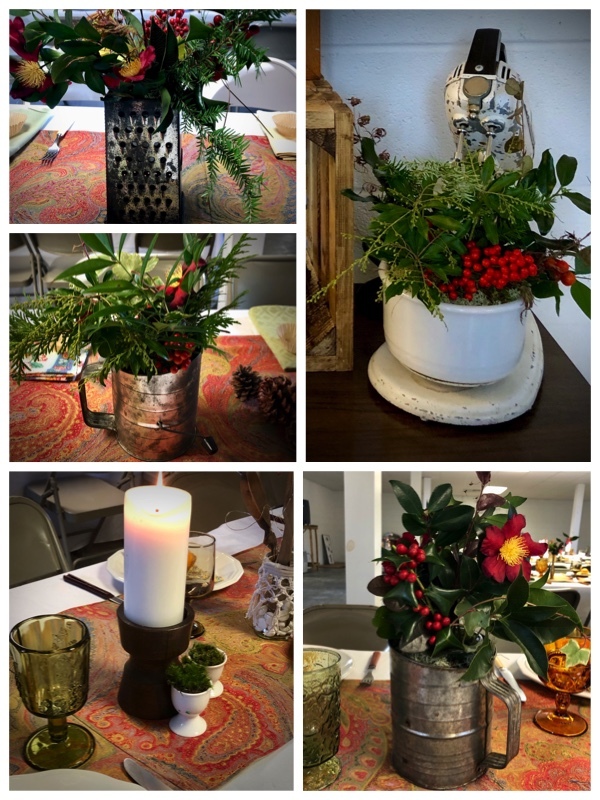 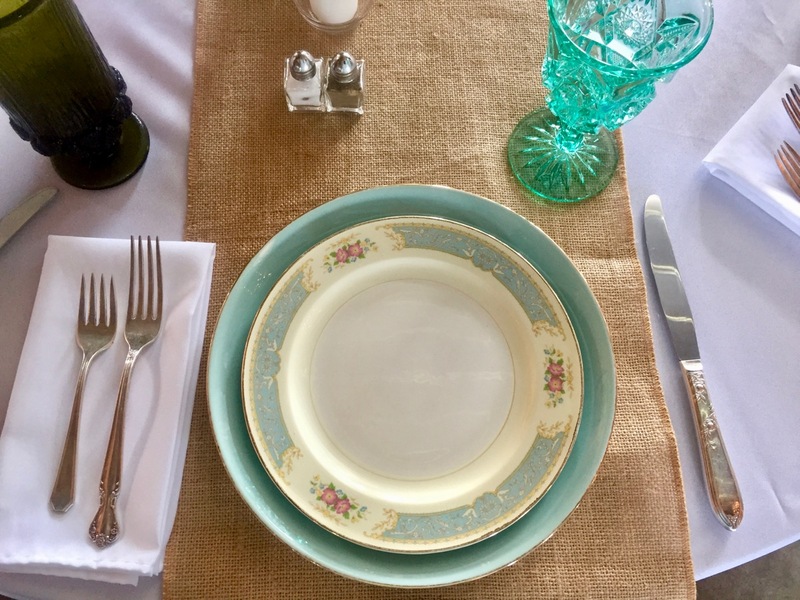 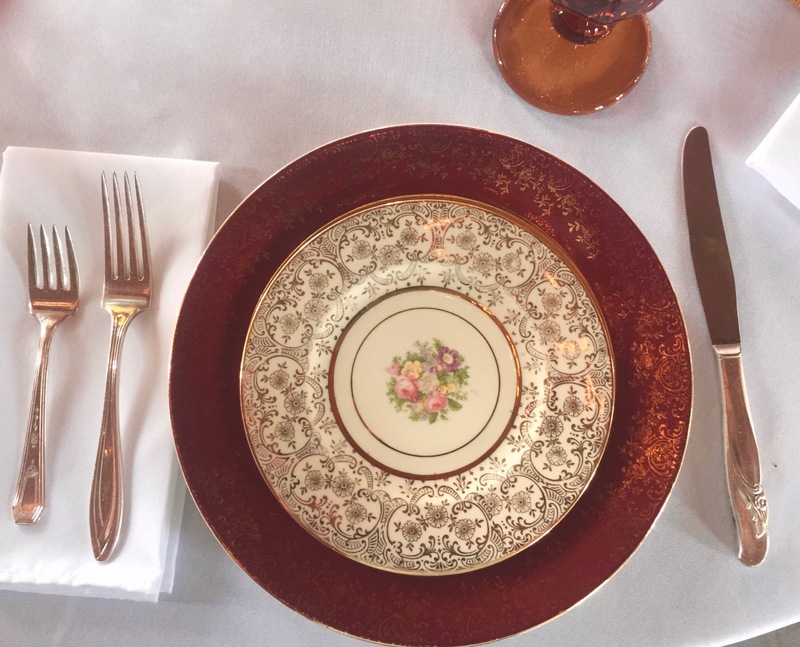 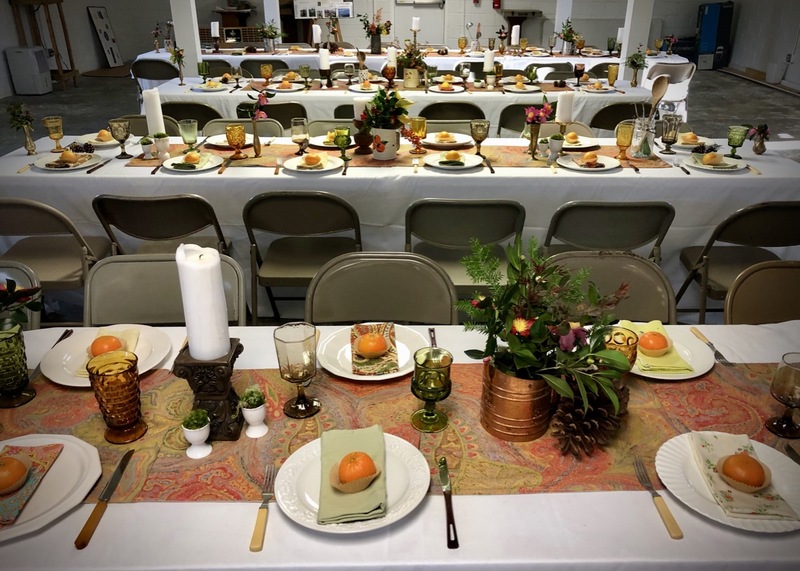 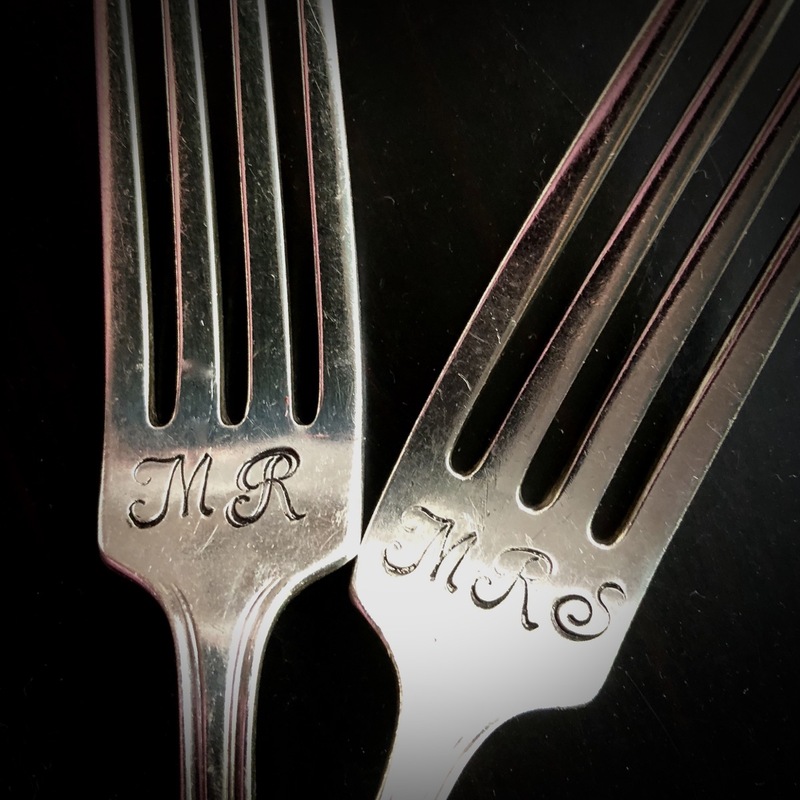 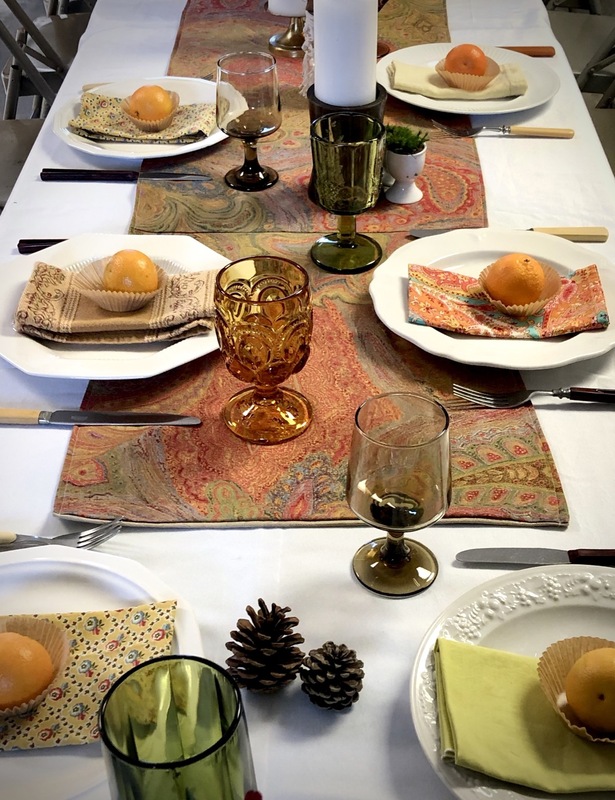 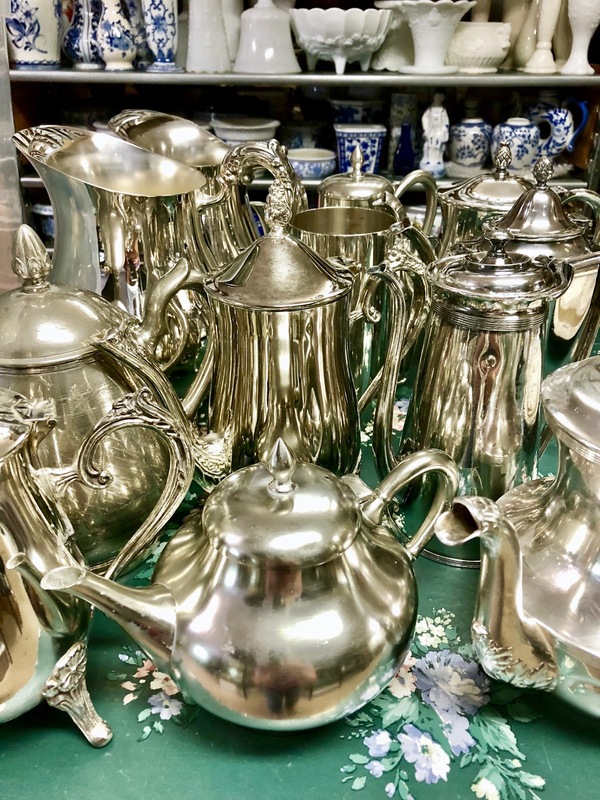 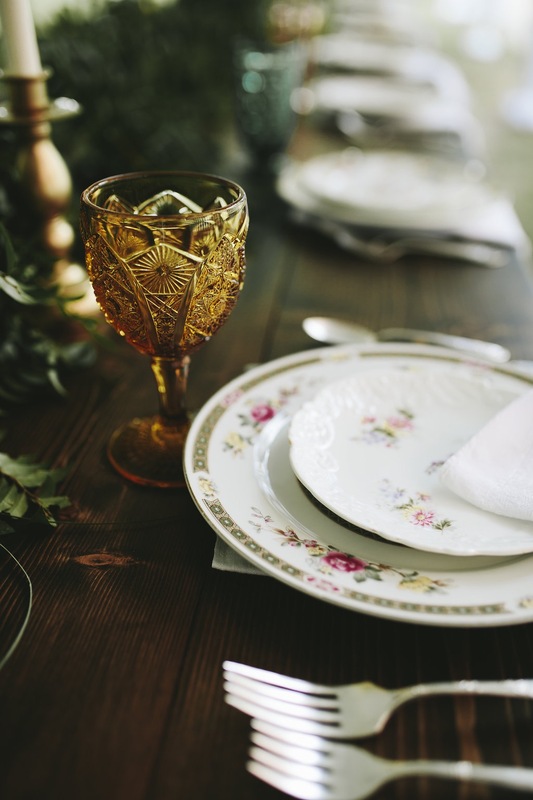 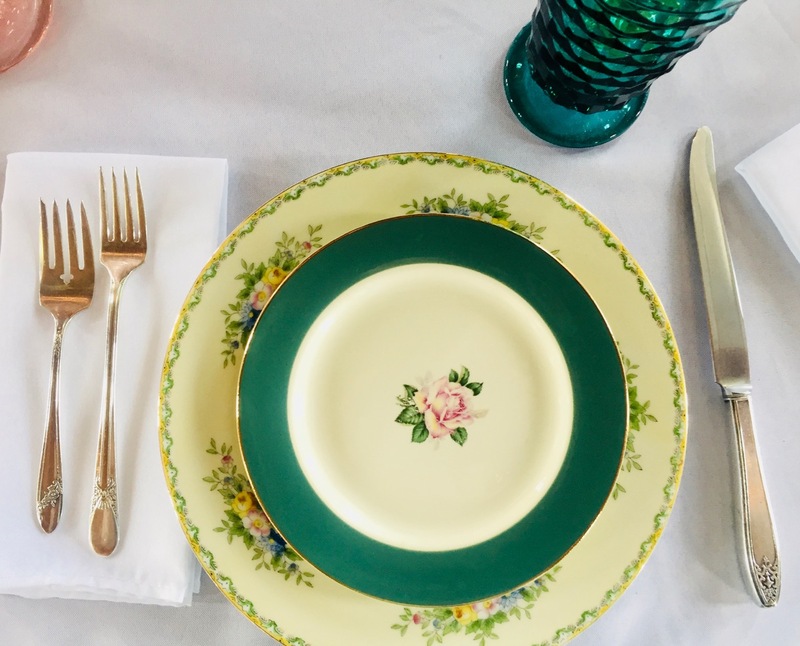 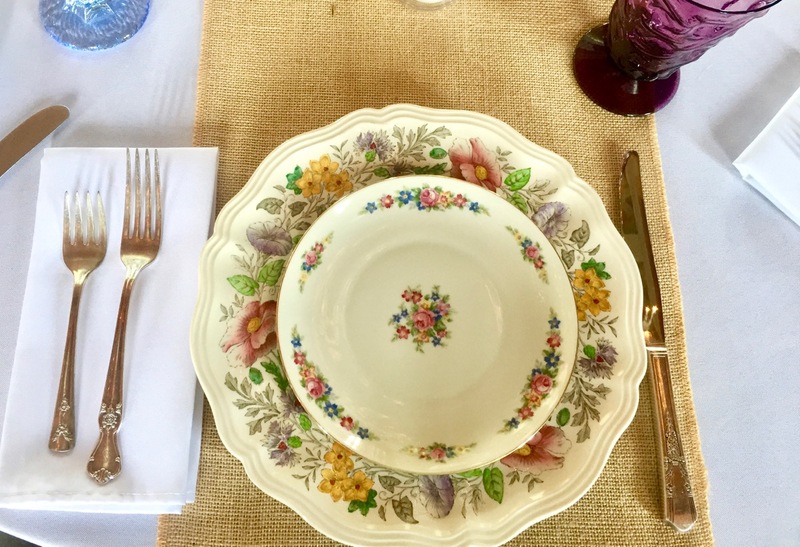 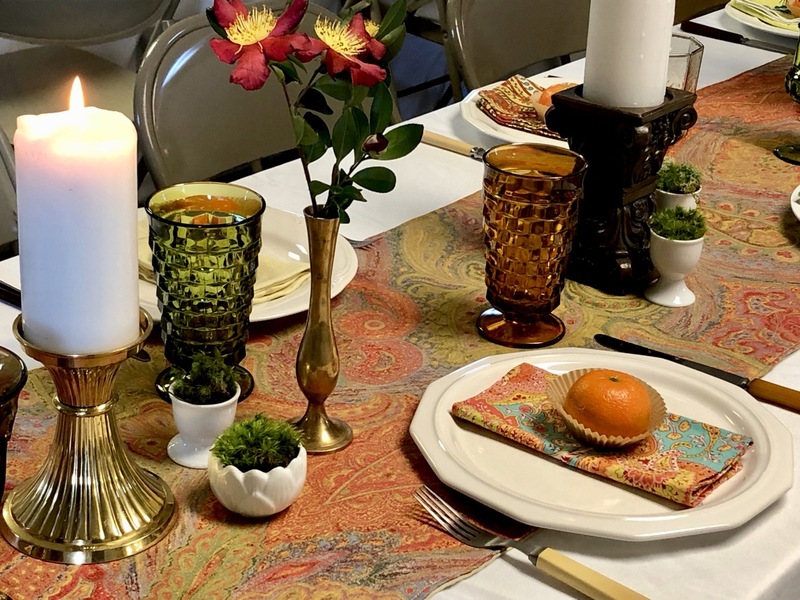 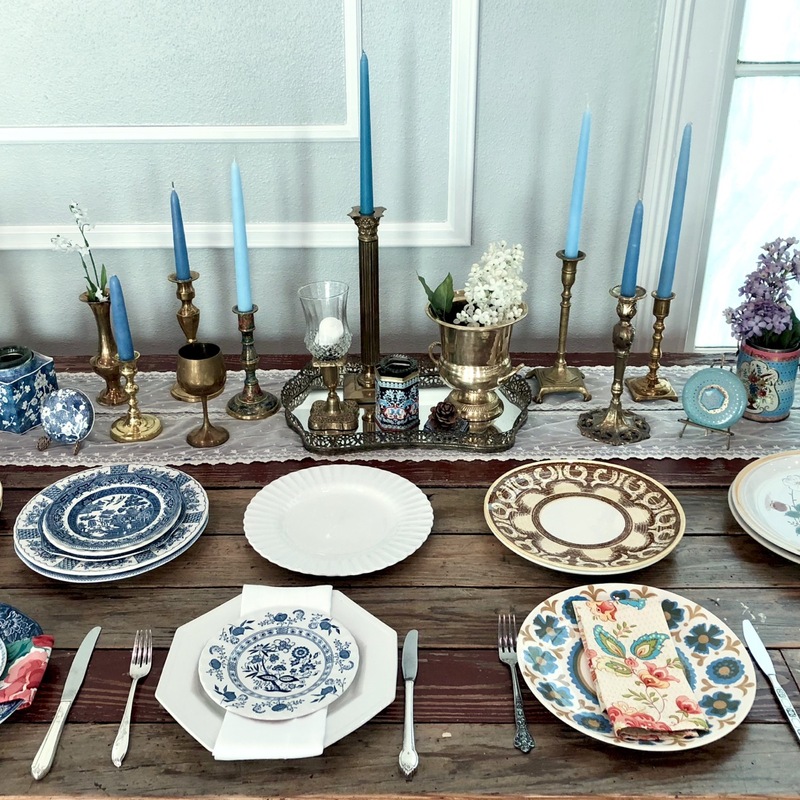 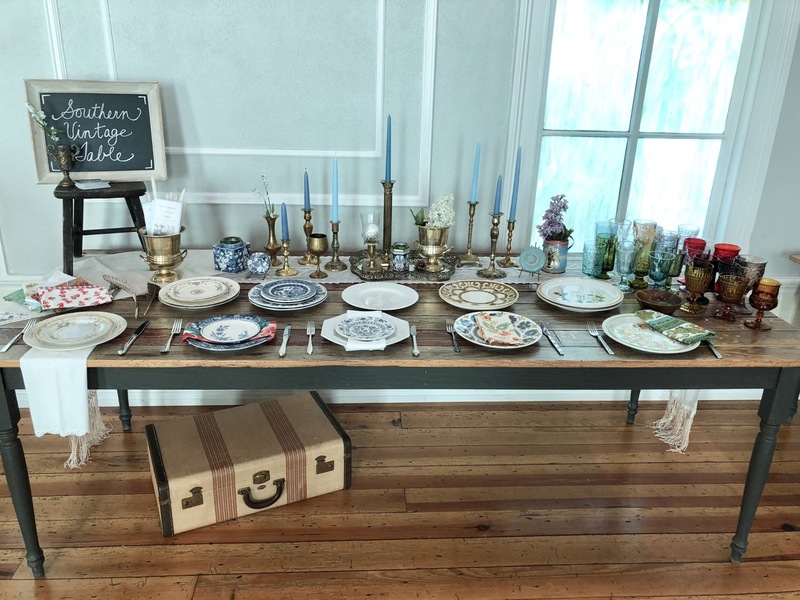 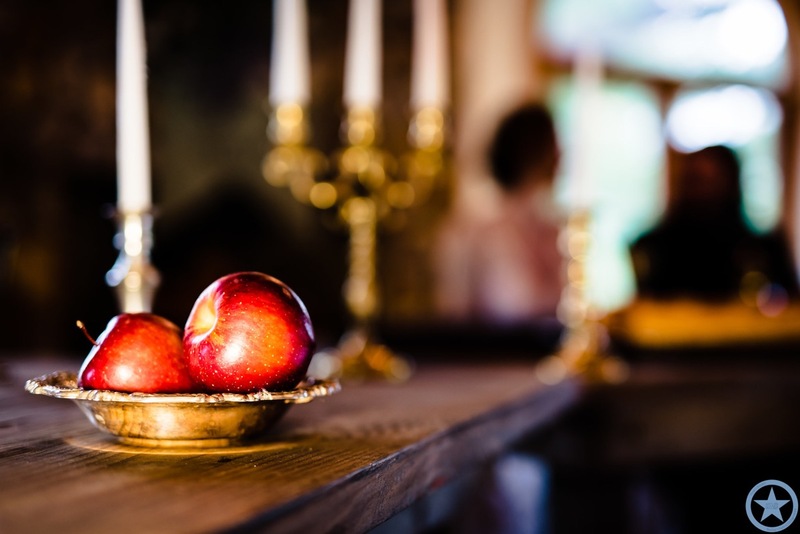 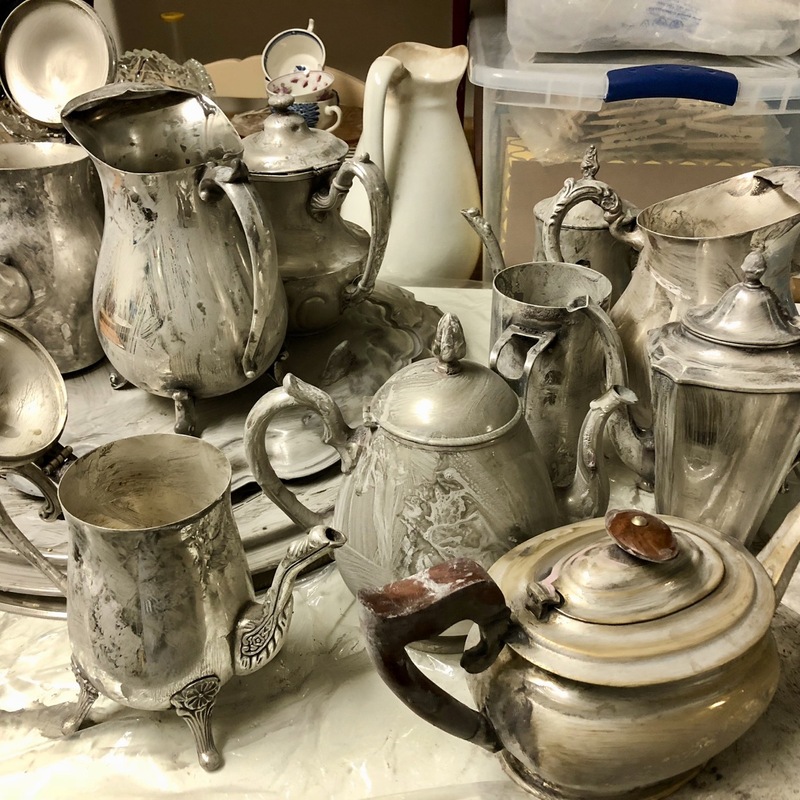 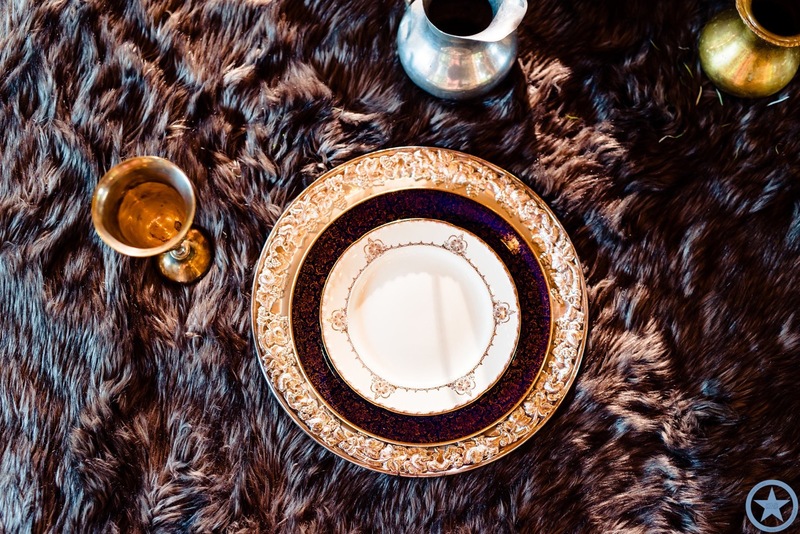 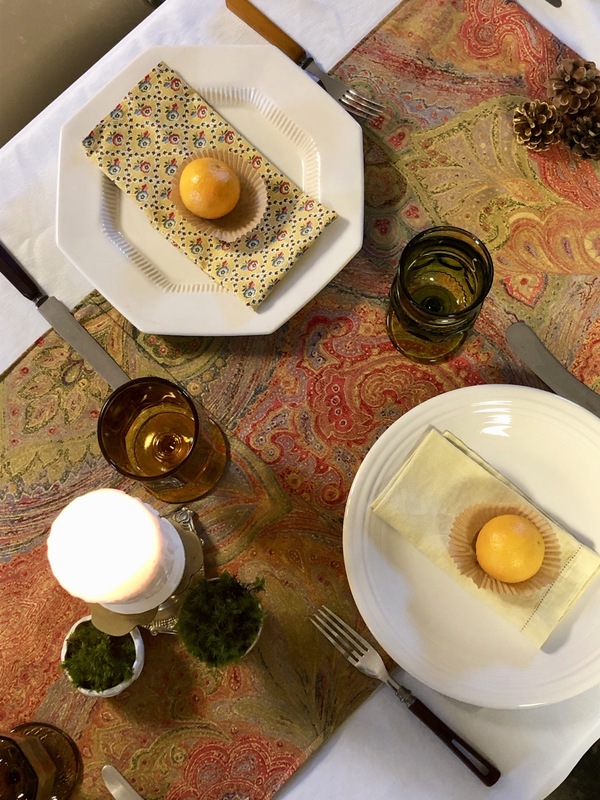 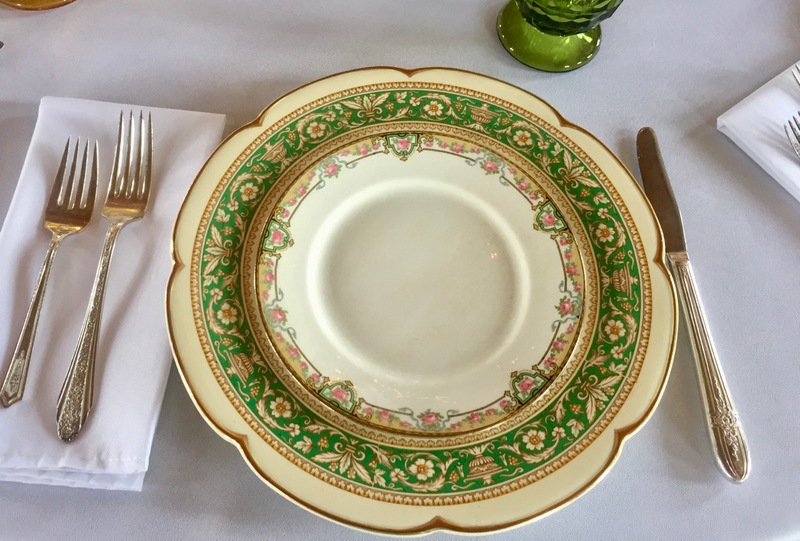 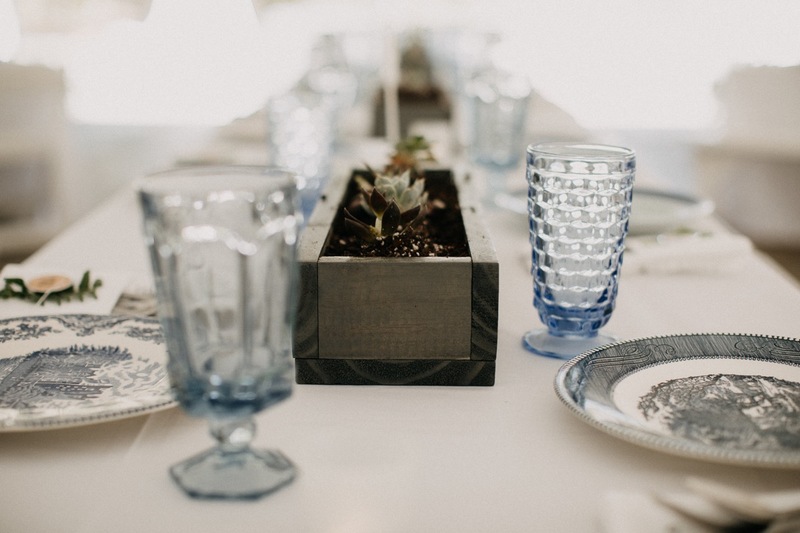 We’re sharing a few photos of our items chosen by Elizabeth and Elyssa – place settings, brass goblets, candle holders, and other metal items – but you will want to see the gallery in its entirety. 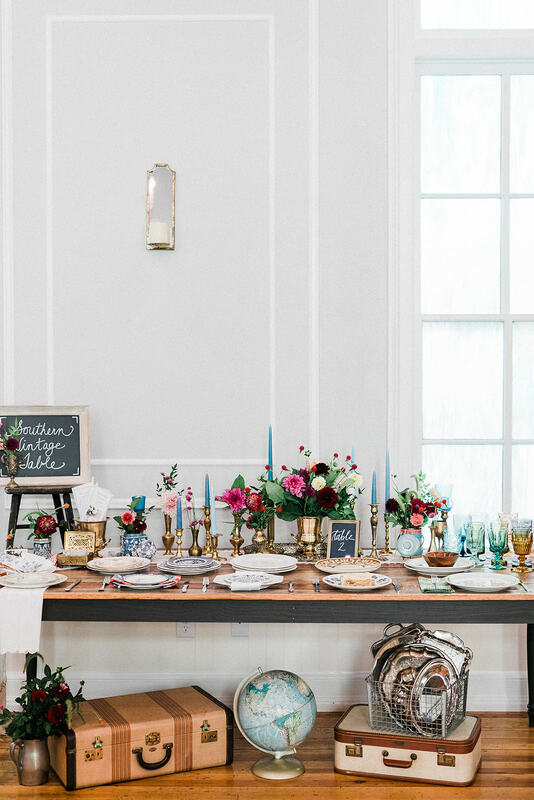 We promise that you will be both inspired and wowed! 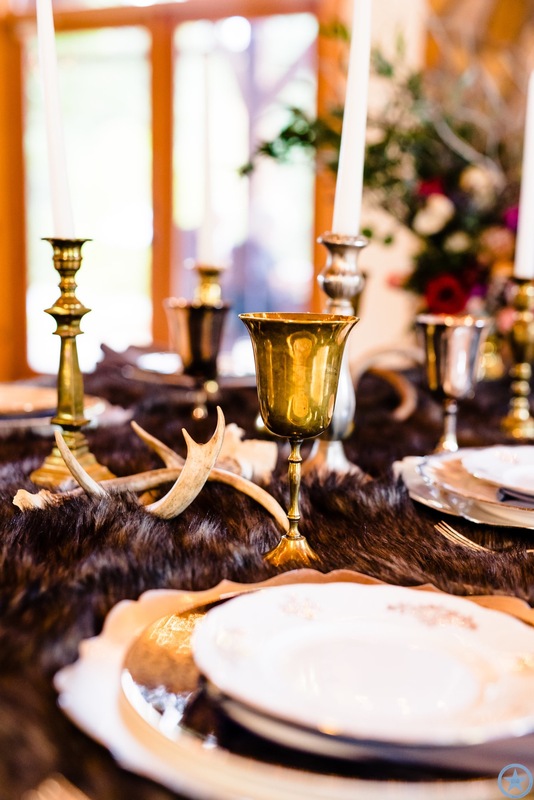 Congratulations to Elizabeth and Elyssa for a fabulous and regal inspiration! 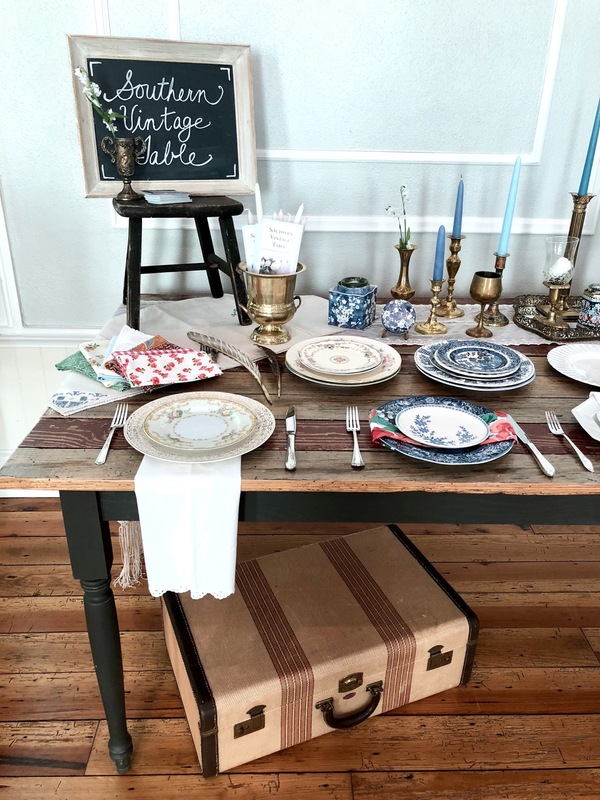 Now get to the blog and see the rest! 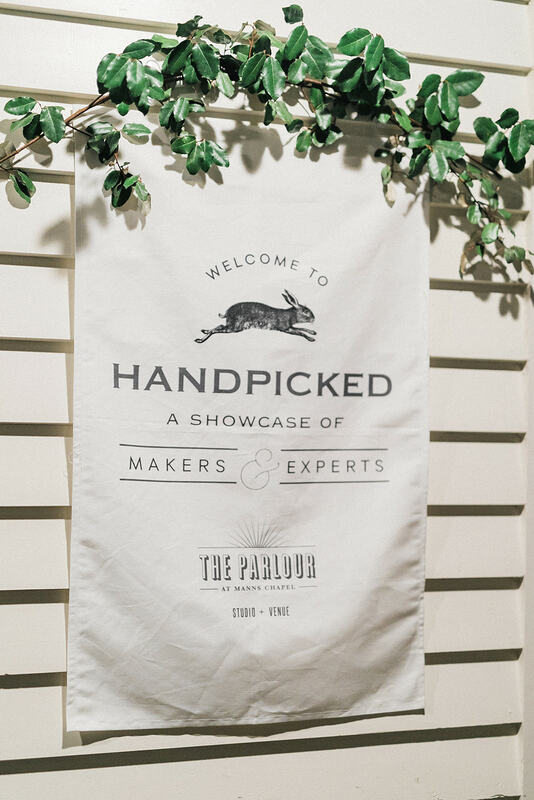 Kudos to all these participating vendors!